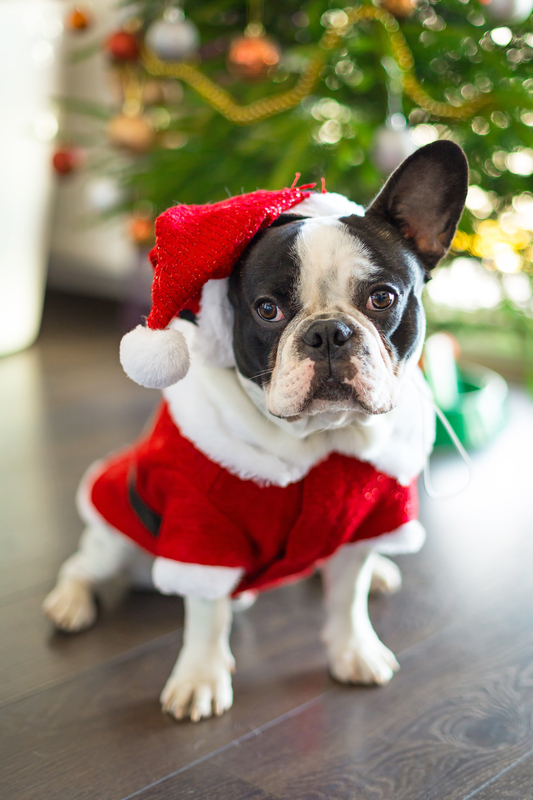 Although it is not yet Thanksgiving, many people have completed most of their Christmas shopping. Others, like me, haven’t started ticking off their Christmas list obligations yet. Whether you finished your shopping before Halloween or you’re waiting until Christmas Eve night to begin, check out EFI’s favorite stocking stuffers for 2014. Each gift was hand-picked with care and experience by a member of the EFI team, creating a comprehensive stocking stuffer list for every member of your family. Dr. Ohhira’s Probiotics- Modern lifestyles are hard on the body. In addition to supporting digestion, Probiotics are essential for immune system function, and your gut is your first line of immune defense. Keep your family and yourself healthy over the holidays! Oxylent– A 5-in-1 daily multivitamin and refreshing drink. Instead of swallowing pills or tablets, add a packet of Oxylent to water and enjoy a sparkling drink that delivers vitamins, minerals, electrolytes, amino acids, and antioxidants with easy absorption and great taste. Soverign Silver– Topically, colloidal silver is the instant choice for use on minor cuts, scrapes, burns, abrasions and anything that you don’t want to get infected. It can be used in place of almost any antibiotic, both for topical use and internal use. 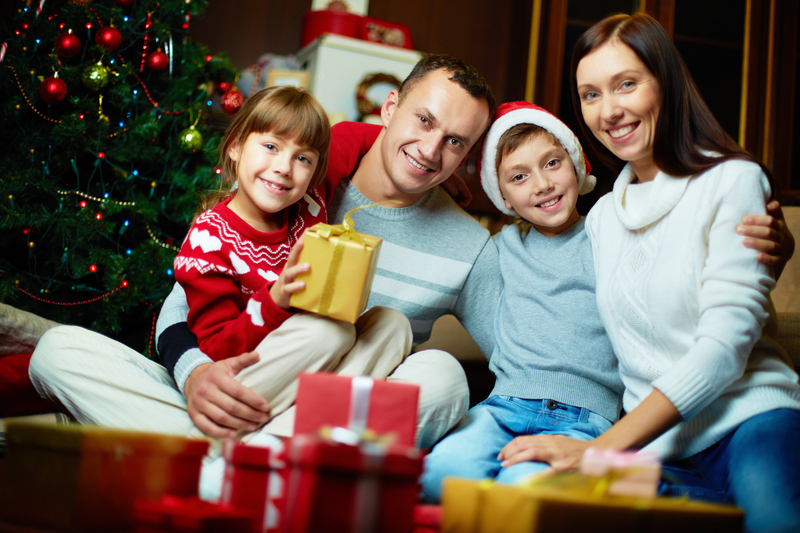 Another great way to make sure your family stays well throughout the stressful holidays. Chia Omega– The pioneering product line that stands out by combining Chia Seed Oil with synergistic ingredients for specific health goals. Providing support for cardiovascular health and healthy cognition plus additional benefits, CHIA OMEGA is the plant-based Omega-3 supplement people are searching for. Try one or all four of the CHIA OMEGA formulas. Pacific Shaving Company– Using safe, natural and organic ingredients, these shaving products have you covered before, during and after your shave. Dr. Ohhira’s Kampuku Beauty Bar– The Beauty Bar merges the revitalizing power of natural ingredients, ancient Japanese fermentation skills, and modern science to create a clarifying, balancing, and rejuvenating beauty bar gentle enough for the entire family. With no scent and no detergents, this soap works wonderfully on all skin types. Hyalogic Episilk Facial Mist– This light mist with Hyaluronic Acid refreshes and lightly moisturizes the skin while not clogging pores or leaving oily residues. A perfect “pick-me-up” for your skin! Eco Lips– Organic, Gluten-free, Non-GMO, Cruelty-free, smooth & soothing lip balm for your dry, winterized lips. Vega Maca Chocolate Bars– A chocolate indulgence you can actually feel good about! Dark chocolate combined with 4,000 mg of maca, renowned for its ability to balance, invigorate and energize. Leashes by Liz– A family owned small business that makes handmade leashes, collars and pet accessories perfect for the furry friend in your life! The brightly colored, braided leashes are sure to make a statement on your next walk or trip to the dog park! Izzie and Olin– Gorgeous jewelry and accessories that are handmade with quality pieces, many of which are reclaimed finds from vintage pieces. This one of a kind jewelry line will make you and your loved ones look like a million bucks, without having to spend it! Maybe you’re not as unfortunate, but the sight of my legs in a spring dress after a long, cold winter is a ghastly sight. As the weather heats up (or does for a day and then goes back to being freezing,) the thought of exposing my pale, bumpy, dry legs and arms gives me a mild panic attack. However, the ancient Greeks, a culture obsessed with beauty, may have just figured out a solution for this common (I hope) problem. If you’ve opened up any health or beauty magazine within the past year, you have most likely come across an article about “Dry Brushing.” Long story short, dry brushing is an invigorating exfoliation method that uses natural bristles to promote circulation and smooth the skin’s surface by sloughing off dead skin cells. Before it became a trend, many naturopathic doctors and aestheticians offered dry brushing as a service to help with bloating, since massaging the lymph nodes helps the body shed excess water and toxins. Like many other services that were previously only offered at a spa, you can now perform this service yourself in the comfort of your own home. 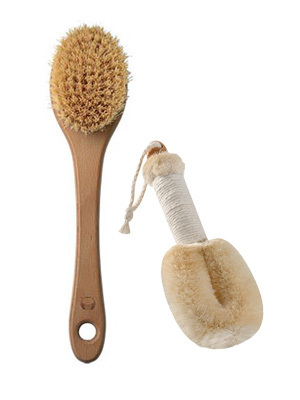 While you shouldn’t get your hopes up too high and expect dry brushing to completely get your legs ready for warmer climates, its benefits are not something to ignore. Make sure you get a brush with natural, not synthetic bristles and that you’re not applying so much pressure that it hurts.